We cover any age of property. We cover valuable items, antiques and art. Up to £5m public liability cover for domestic staff. Heritage homes such as those built in the Georgian, Regency, Victorian and Edwardian eras typically require more expensive repair work in the case of a claim resulting from damage. This is why it’s important to insure your special home with a provider who understands historic buildings. This includes the traditional construction methods and materials, and the restrictions that older building regulations can have on security measures you can use to protect your home. Heritage home insurance policies take into account the age and construction of the property, as well as the antiques and other valuables that you may keep in the home. Beware that if you insure under a standard buildings insurance policy without specifying the materials from which your home is built and later need to make a claim, you could find you are not adequately covered and might have to pay the bill yourself for any damage to your property. Victorian terraces are numerous and popular but they have two major disadvantages that are worth considering carefully before you buy one. It's very important to maintain the structure of the building, using appropriate methods and materials in keeping with the fabric of the original building. You need to know the accurate buildings rebuild cost for your heritage home to be accurately covered. If you don’t have an up to date valuation, you need to engage a property surveyor who specialises in older properties to provide a fresh estimate. How old does my property have to be to count as a heritage home? All properties built before 1700 count as heritage homes, as do the majority built between 1700 and 1850. Although many insurers won’t cover properties that were built before 1850 because these homes tend to be of non-standard construction, here at HomeProtect we aim to provide cover for all heritage homes, whatever their age. Why can’t I just get standard home insurance for my heritage house? 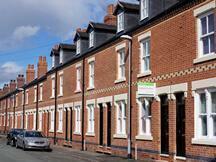 Heritage and listed homes are usually categorised because they are of special importance to the UK. If they are architecturally of special interest or are nationally important then you cannot live in the property as you would in a normal home. Your insurance must protect the building and maintain its original features. It is for this reason that it can be difficult to find the correct level of insurance. I have a half-timbered house. Do you cover that? HomeProtect aims to provide online quotes for homes built with a wide range of non-standard construction techniques including half-timbering. Does it cost more to insure a heritage home? Your home buildings insurance premium is affected by a large number of factors including the rebuild cost of your home. This is generally higher for a heritage home, even if it is constructed from the ‘standard’ building materials of brick or stone and roofed with slates or tiles, because the particular types of these tend to be rarer and more expensive to buy. In addition, rebuilding or even repairing a heritage home usually requires craftsmen with very specialist skills which are more costly than standard trades.